3 Types of friends you need to avoid to succeed in life and business. There are 3 types of friends to avoid in if you want to succeed in life and business. There are certain types of friends to avoid to be successful. 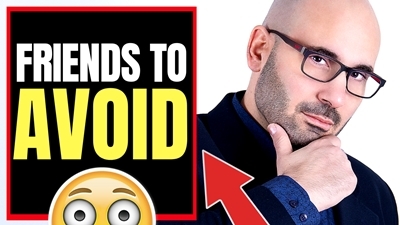 I know it sounds harsh, after all they are your freinds, but unless you want to end up like your unsuccessful friends instead of your successful friends, you need to watch this video and get rid them right now. After all this is why successful people leave their loser friends behind. And that is what you have to do to move forward in life.